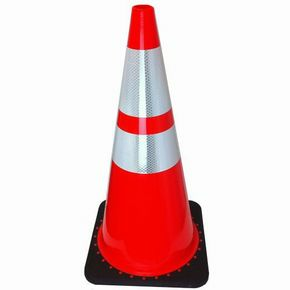 Traffic cones are used for traffic management and anywhere that experiences a heavy influx of motorists to prevent accidents and confusion from occurring. Expand and retract from 4ft. to 7ft. Less than 5 lbs. is easily carried or transported in a trunk or truck bed. More effective than warning tape, reusable and highly reflective at night.